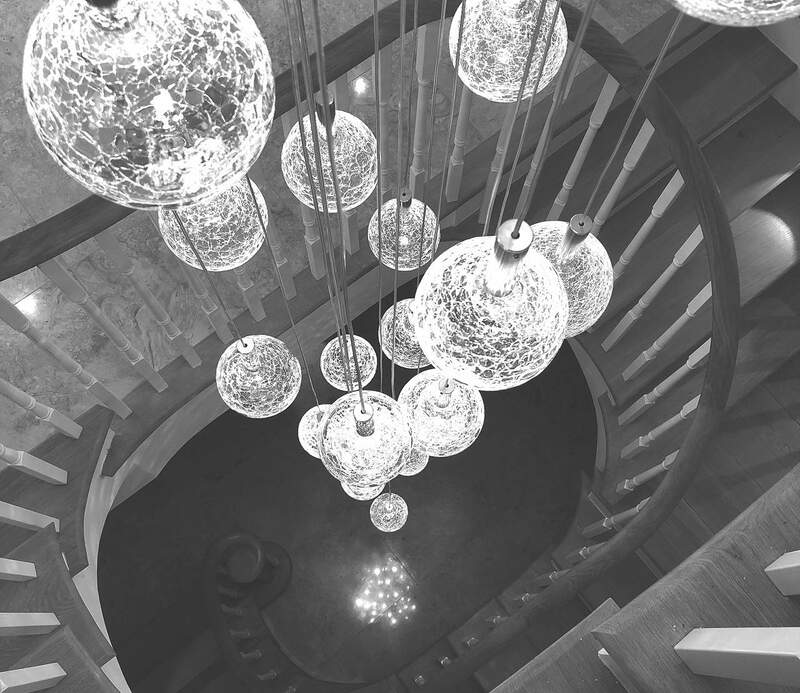 We use a number of handmade hot glass techniques to produce a wide range of objects, both blown and solid, to feature in our glass chandeliers designs using the skills of glassmakers from around the UK . 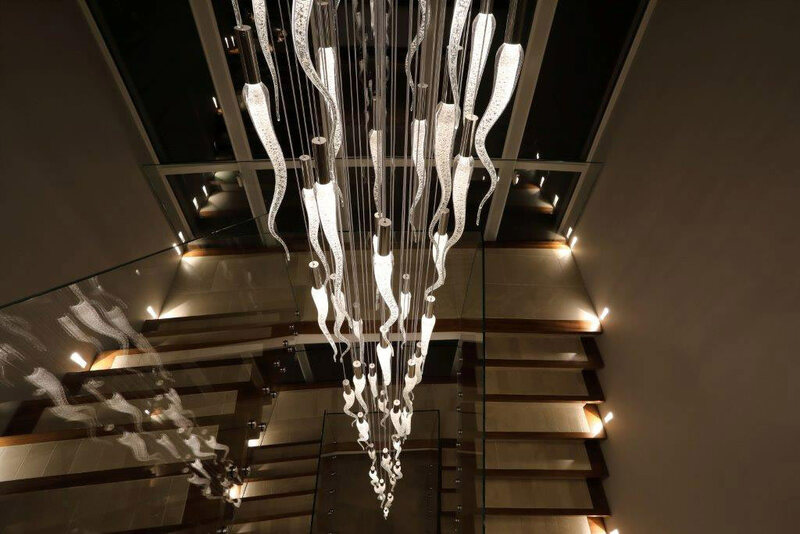 These components are further processed for use with our in-house, self-built LED modules that are designed to enhance the properties of the glass forms, which when composed into a chandelier create a vibrant centrepiece, designed specifically to enhance the immediate environment. 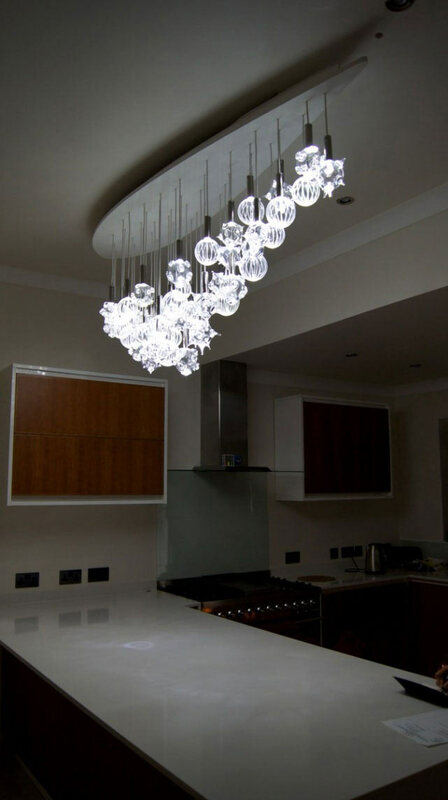 Spectacular 'Ice' Chandeliers are made from hand formed crystal with mica inclusions. Glass Spheres hand-cut using a traditional diamond wheel. 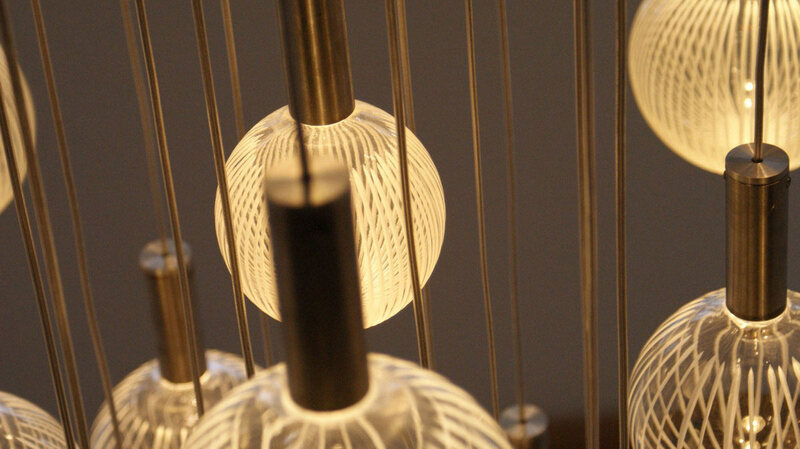 Introducing Three Glass Ranges that are all designed around a hidden light source. 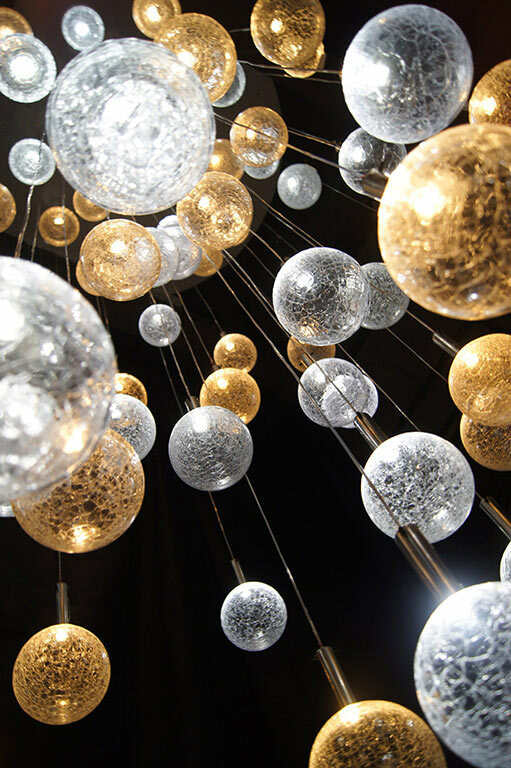 A chandelier populated with both warm and cool LEDs. Page created in 0.502824 seconds.